﻿ Ramblin' Rose Alpacas LLC - Ohio. Find It Here. 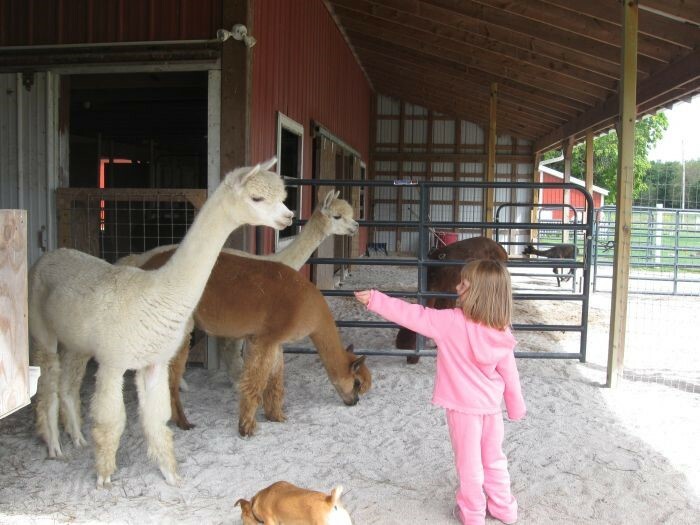 Ramblin' Rose Alpacas LLC is an agri-tourism destination. Visit this working farm to learn about raising alpacas, purchase eggs from free-range chickens, and learn about the honey bees that live on the farm. Visit the "Honey House" and learn about the process for extracting honey and purchase a bottle of honey to take home. Visit the wonderful gift shop on the property to purchase hand-made alpaca fleece products and other items. View Miscanthus growing in the fields around the property. Enjoy the well-maintained grounds and the historic home on the site.